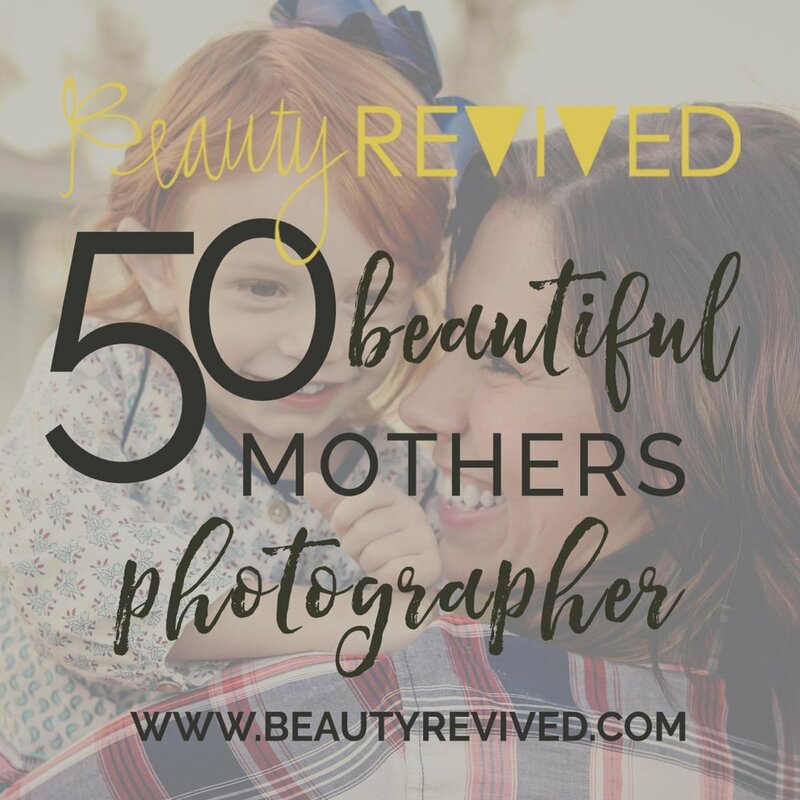 I am SO INCREDIBLY HONORED to be one of the few photographers chosen across the nation to partner with Beauty Revived on their mission to bless some amazing mommas (and tell their stories via gorgeous magazine spreads!!) The magazine will be published May 1st- just in time for Mother's Day...can you image a better gift for your momma?! So, what is Beauty Revived? According to the website, "We are photographers on a mission to bring BEAUTY back! Beauty Revived hosts quarterly campaigns. Photographers can apply to be a part of these campaigns and 50 are chosen. Each of the 50 photographers are then asked to find someone that represents real beauty and donate a session to them to help tell their story. These stories are compiled into our quarterly print magazine." So now, I'm coming to YOU for help! I'm in need of some fab vendors to partner with me! Two amazing friends and small business owners have already said yes to joining (I won't give them away just yet so we can really 100% surprise our "momma of the century" as I'm calling her)! We need volunteers for these services: hair, boutique styling, nails, and of course a massage to have the total pampering package! If you offer one of these services, would be interested in helping, and would like your business mentioned in a national magazine, reach out and join me! Email: elizabeth@simpsonography.com - doing a little good for our communities is always the right decision! I'm also going to need all you fine folks to nominate the mom who has impacted your life and community the most. There are so many deserving mommas who have been nominated already that I'm going to have to hire (I'll pay you in donuts!!) a team to help me choose! Know anyone who moms so hard she is #goals?! Be thinking about who you would like to nominate as momma of the century. This woman should love fiercely, dedicate herself her children and serving her community, and exhibit an attitude of true compassion in the way she blesses those around her daily. I'm accepting nominations until March 8th.